Bonfiglioli has launched the new BSR synchronous reluctance motors line that reach efficiency class IE4 at the same stator length as the four-pole standard induction motor range with efficiency class IE2. This is a great and very important improvement, bringing significant benefits at the application level. Accordingly, Bonfiglioli offers two packages of motor and frequency inverter to fit a wide range of applications: a “High Efficiency” package at IE4 standard and a “High Power Density” package with full dynamics and high precision speed. All this in sensorless mode. The motor with the type designation BSR is available in six frame sizes from IEC71 to IEC132. The range will be from 0.37 to 18.5 kW. The “High Efficiency” package at IE4 standard enables the upgrading of an existing machine, increasing the efficiency in the blink of an eye. At the same frame size, the new motor in combination with optimized drive software enables large gains in efficiency, which pay off immediately through reduced running costs. The “High Power Density” package in combination with the broad Bonfiglioli gearbox portfolio yields large advantages regarding required installation space. For the same output power, the new synchronous reluctance motor BSR requires considerably less space. The drive is built shorter and is also, including the terminal box, smaller– depending on the application, the advantage can amount to up to two frame sizes. Thanks to this, the machine designer has more space and freedom. The new vector control (FOC Field Oriented Control) available in Bonfiglioli frequency inverters, Active Cube Series, allows the machine to achieve high precise and dynamic speed and torque control especially for applications requiring variable loads and inertia. 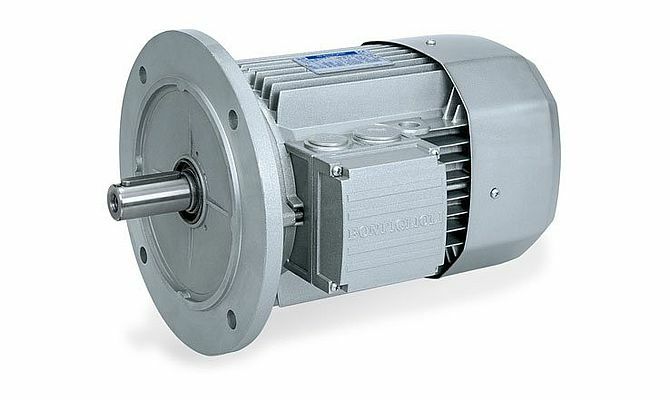 Bonfiglioli Synchronous Reluctance (BSR) motors have no windings and no magnets and therefore have no induced current and lower rotor losses compared to standard solutions. Therefore, the machine has less heating dissipation and longer lifetime bearings for a higher reliability. The drive system, including synchronous reluctance geared motor with frequency inverter Active Cube, is perfectly adapted for various applications such as pumps, fans, mixers, and dosing.